The phrase “There’s a tool for every job and a job for every tool” is one that holds true for virtually any profession you would care to name, but it can also be applied to cars as well. If you want to save on gas, you get yourself a small hatchback, if you need to fit in a big family, you get yourself a four-door saloon, and if you want to go off-road, you get a Hilux. However, while the Hilux is more than capable of tackling even some of the more treacherous paths with relative ease, there is never any harm in a few upgrades to help it along the way. While modifying your Hilux may sound like a massive undertaking, all you really need to make it as off-road worthy as possible is the dream team combination of the suspension lift and diff drop kit. The basic gist of it is that the suspension lift kit makes the car a beast off the road, while the diff drop gives you the reins so that it doesn’t bite you. I fell like this was a bit too much of a cryptic explanation, and you could really use some more practical information. In essence, the suspension lift is installed in order to give your vehicle more ground clearance on bumpy roads, and more room in order to fir larger tires, if that is what you need. This is a very useful component, but it has a few drawbacks, drawbacks that the diff drop kit is meant to eliminate. In essence, the function of the diff drop is to minimize the CV shaft angle that would otherwise increase the chance of the CV shaft pulling out of the inner joint, the wear on the joint itself, as well as the wear on the CV boot ribs. This means that the diff drop is meant to work in tandem with the suspension lift in order to produce the best possible results for your Hilux. 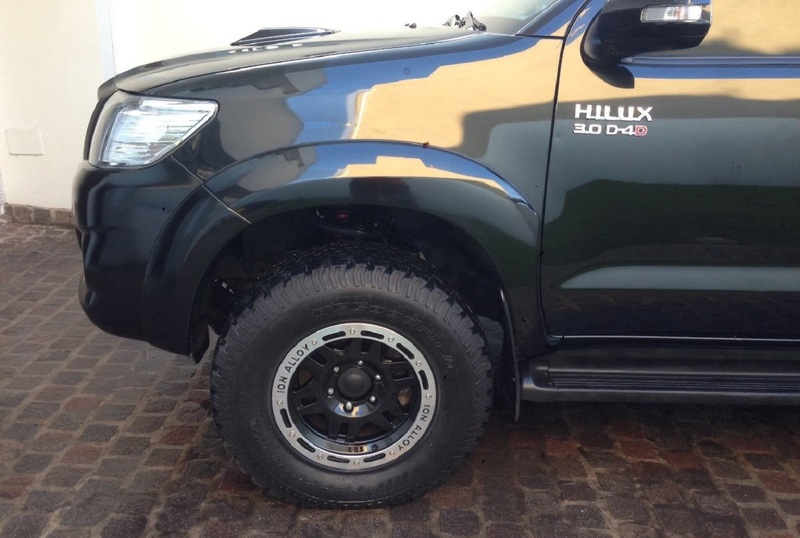 While these two components do provide your Hilux with the best off-road capabilities when they are both installed, they can give your car some pretty great benefits individually as well. The deciding factor on whether or not you should go for one or both ultimately comes down to how often you stray from the well-paved roads, and exactly how long you expect to run it on the rougher type of path. By itself, the Hilux is a pretty capable machine all-around, but every machine can be upgraded and improved, and that is exactly what the lift and diff drop kits do.